If the moon was made of cheese, would you eat it? 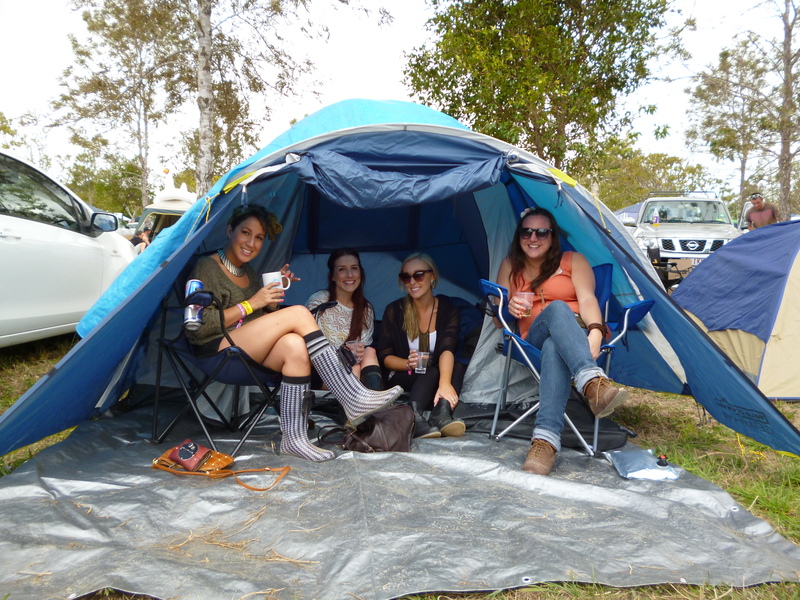 Splendour in the Grass 2011! – These Two Eyes! If the moon was made of cheese, would you eat it? Splendour in the Grass 2011! I wonder what my temperature is in Celsius? 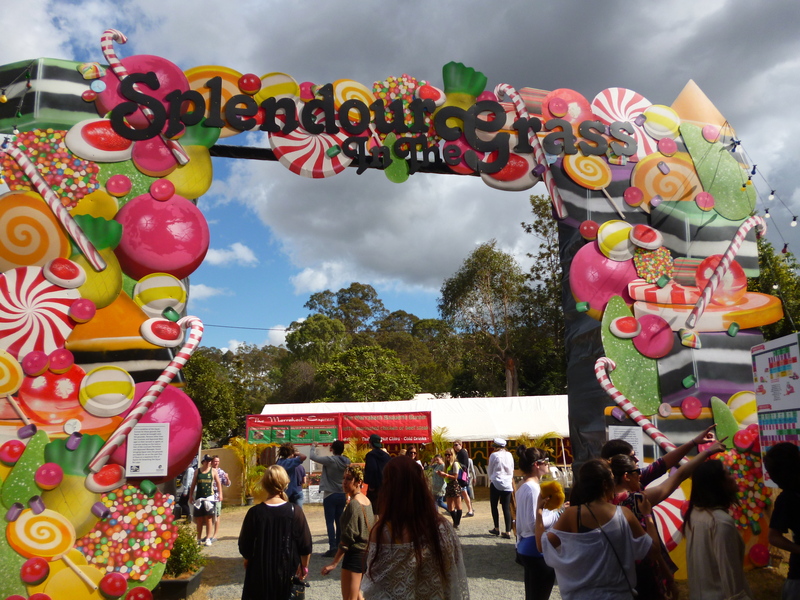 I’ve come down with a fever, but don’t want to blame it on the 4 day rager that just went down in Woodfordia, fondly known as Splendour in the Grass. For months I thought to myself, what’s this “Splenda” that everyone keeps talking about? Like the artificial sugar? But then I had a flash of cognition that made me go, oh, you’re all saying “Splend-er”. I think I’m the silly one here. I was offered a ticket to the multi-day music festival, one of the biggest indie rock events in the country, merely days before the event. Before coughing over a few hundred dollars I had two simple questions, Am I going to freak out? Where do I pee? And that’s that. I spent last week roaming the city streets in and out of every cheap Asian store and more, identifying the perfect festival outfit and ticking off the list of many provisions: gum boots (aka rain boots), torches (aka flashlights), sunnies (aka sunglasses), thongs (aka flip flops), track pants (aka sweatpants), and of course goon (aka boxed wine). 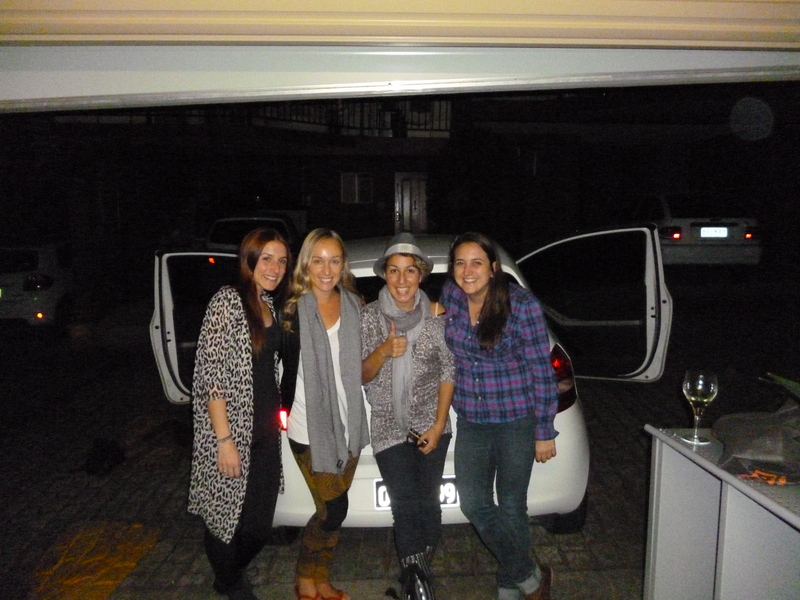 After a hard day of work Thursday, Jacqui, Nidya, Fairlie and I, over many a wines (not the driver mind you), shoved, and twisted, and pushed, and finagled, well, basically painfully tried to get all of our camping gear in a tiny 2-door sedan. But alas, we were four cramped girls in a car on our way to Splendour! One would compare the festival perhaps to the likes of Coachella, Lollapalooza, or Glastonbury. Not that I’ve ever been to any of the above unfortunately. The cool part is, although it’s HUGE, it’s mainly comprised of Australian artists. That’s what’s so neat; I was exposed to a whole world of music that frankly would never make it largely in the states, because they kinda have their own thing going over here being so far removed and all. So yea. We arrived at 1 am on Thursday night, Nids and I in a very inebriated state of mind, and set up camp in the dark. I held the torch while the others did the prodding, until the sleeping bed rejected the metal pole directly into my face with a sharp, Owwwwww! Right, lets layer up, trek over the festival grounds to scope out what we’re dealing with here, then have a snooze fest so we can wake up to sweet jams! Friday was a great day. Hanging out in the morning at the camps site, eating baked beans and Cup of Noodles over a Bunsen burner and feeling the sun shine its gloriousness all over. We mingled, and drank, and pondered over the 3 full-day itinerary of music deciding how to shape our time amongst the three stages. We trekked up the dust covered hill, pointing out right on the onset the ridiculous outfits and costumes amongst the crazy crowd. First stop in was Aussie hip-hop artist Illy. Now, here’s what interesting, I like to say “white Aussie hip hop” is a whole movement over here, but to be correct, I’m told it’s just called “Aussie hip hop” in general, because they’re all white anyway. I’m not saying any of that with a hint of racism, it’s more brought up as a fact, and in general, Aussie hip hop is a pretty interesting scene. Anyways, onward march! We have tons to do, drink tickets to buy, festival food to eat, markets to shop in. 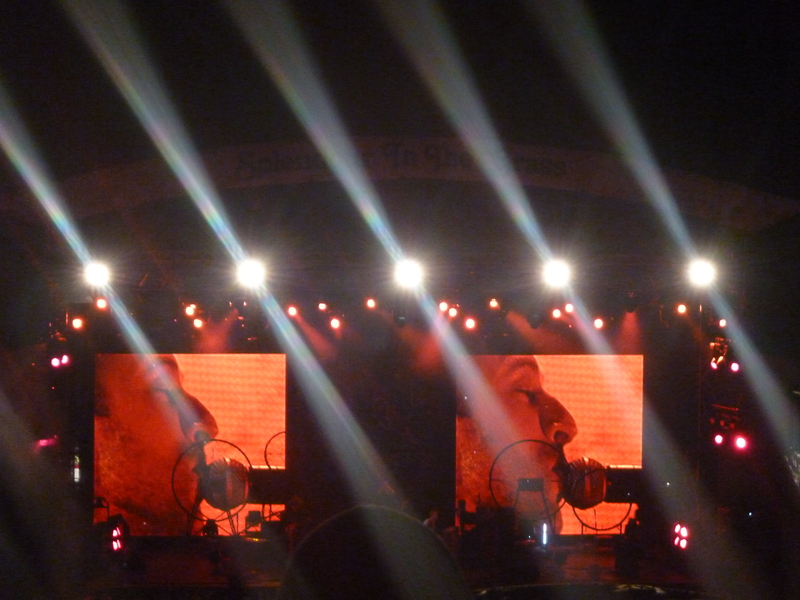 And of course, squeeze in Modest Mouse, Kimbra, The Kills, Jebediah etc all before headliners The Hives and Kanye West hit the stage later on. As the day wore on, we partied on. What’s also great in addition to the music is all the stuff to do. Mentioned above, as well as tents dedicated purely to certain entertainment aspects like the Chai Lounge Tent, or the Mexican Cantina Tent, or the Smirnoff Bar, and the Wine Bar. Yeah. By the end of day one, there were two things I was absolutely certain: the girls were already sick of hearing me saying “I have to pee” every 7th minute and I had completely lost my voice. Saturday I was in no way surprised to find out that I was snorefest – apologies to all girls in the tent with me, while Nidya was seeing shadows on the tent walls. find out what my temperature really is in Celsius. Hello hello hot Irish doctor! I think I’ll have to get sick a little more often. 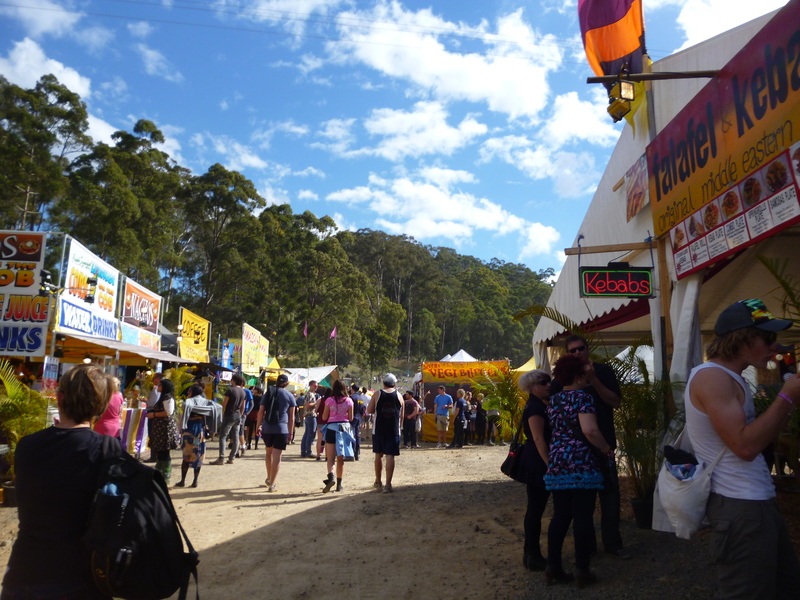 Back to Splendour…Saturday afternoon we ate delicious kofta balls at Govinda’s hut, I fell in love with bands called The Grates and Time & Jean, we mingled with our gay bf’s Wes and Nick. The night ended with me popping a squat next to the tent, only to find our neighbors were sitting out the whole time. I gave them a friendly hello with my pants down. I can’t believe Sunday has arrived already. World-wind of a weekend. I had known for years that I do not like drinking cider like Magners and Strongbow but I thought what the hey, I’ll give it a whirl. Upon my first sip it was reconfirmed, I do not like drinking ciders but after a few more, that stuff aint’ too bad. 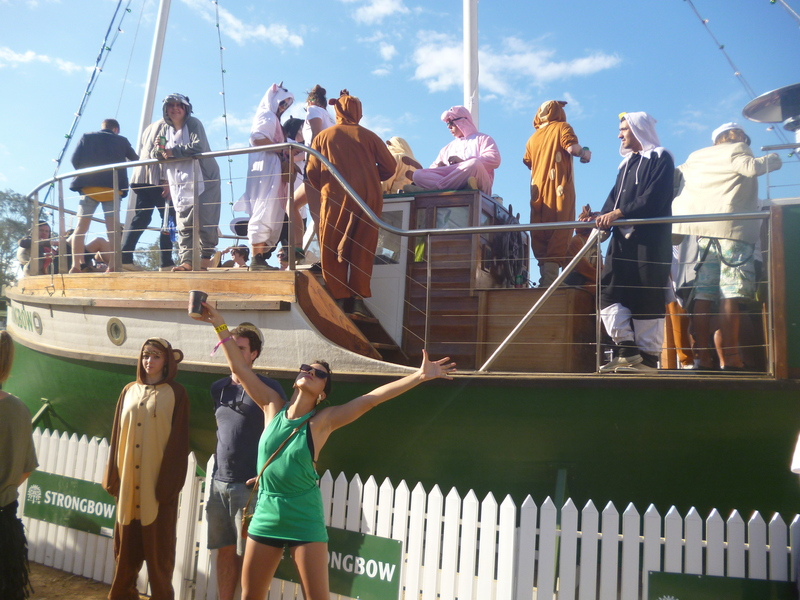 Lucky for us the furry parade of all those dressed in costumes was happening at the Strongbow boat so we headed over to have a peek, and take fun photos in the photo booth. I fell for bands called Friendly Fire and Cloud Control. During Cloud Control it was amazing. Did I mention how many damn dirty hills there were! To pee it was up the hill, down the hill, don’t step on that person’s face, I think I got dirt in my mouth, where is the group, right found the group, cool, wait, now I have to pee again, up the hill, stand in line. Right, so during Cloud Control a huge crowd gathered on the hill at the amphitheatre. At first they were all just jumping up and down in unison but then there was the awesome idea to climb the hill, and hundreds of people ran down it at the same time. It was super fun to watch, but I couldn’t help but think, and this is how people die. The show ended with final sets from the Kaiser Chiefs, Pulp, and Coldplay. My voice disappeared again. I ate what is a bit of a carnival treat called Dagwood Dog. It’s basically a deep fried hot dog with ketchup on top. Kinda weird, but delicious. We didn’t make it for our nightly closing dance party at the Smirnoff tent so instead had a dance party in the Mexican canteen tent before learning how to do fire breathing tricks. I chose not to partake after witnessing two failed attempts from some acquaintances. 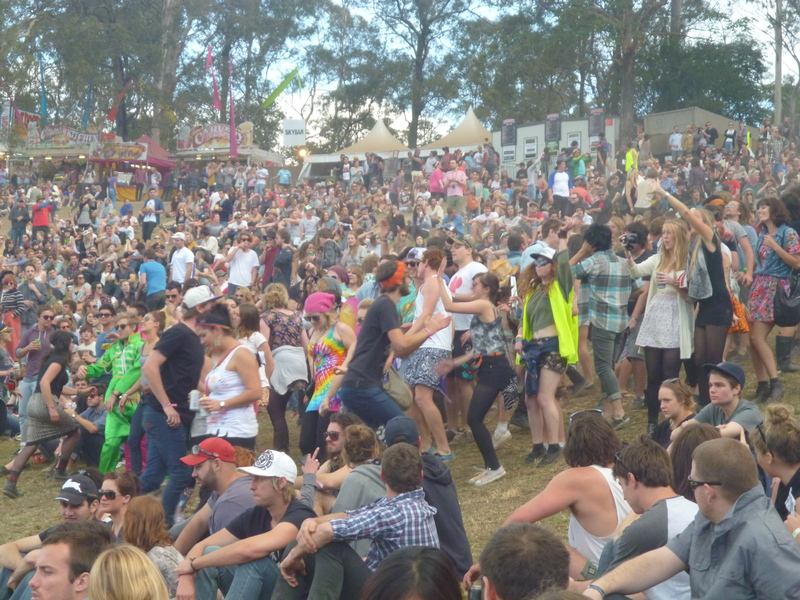 Is Splendour really over? We took our time waking, didn’t brave the showers, and packed our tents. It was lovely to get a note from our neighbors who left us some treats with their local band info on it. We queued to leave the parking lot, and it was odd because everyone around us was eating carrots. Of all things to have left over 4 days later, and for more than one group of people to be eating them, carrots, really? Babes, I love your commentary of the events! It was such fun and I can’t wait to do it all again, next year …. Have you seen the lineup for Falls Fest over New Years???? It’s all happening again….